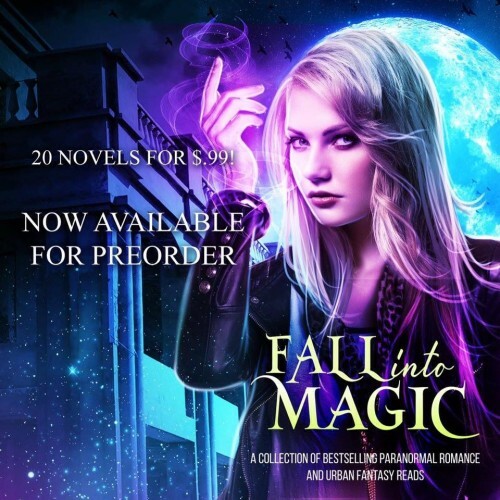 Twelve authors have come together to bring you twelve of their best offerings in Urban Fantasy as well as a giveaway where you can WIN any 3 Urban Fantasy Novels you want as well as join their newsletters for a chance to get more special offers and giveaway opportunities! It’s the giveaway that keeps giving So be sure to check out the sponsoring authors’ books below, then head over to our giveaway for your chance to win your ideal Urban Fantasy book bundle (in any format you want)! Deep in the forests of the Pacific Northwest is a small village called Dark Root, a town steeped in magic, mystery, and secrets. But for Maggie Maddock, Dark Root is also a prison - a place where she is forced to work in her mother's Magick Shoppe while the rest of the world moves forward without her. When a mysterious stranger offers to take Maggie away from it all, she leaves without looking back. Seven years later, Maggie is called home by her beloved older sister. There she is confronted with a renewed sibling rivalry, a mother suffering under a mysterious illness, and a town that's lost it's literal magic. Now Maggie must decide if she will use her newfound abilities to aid those she loves or run from her responsibilities once again. In the tradition of Alice Hoffman's Practical Magic and Rebecca Wells' Divine Secrets of the Ya-Ya Sisterhood, The Witches of Magic seamlessly weaves the past with the present, the magical with the mundane. It is a tale of family, forgiveness, and the healing power of love that will leave readers believing in magic long after the story ends. After years of abuse and eventual abandonment, Janie wants to forget her parents ever existed. Moving to her mom’s hometown of Everod doesn't make that easy. Then she meets Tristan. The emotions he ignites within her are almost enough to make her ignore all of the weird things he says. Almost enough to ignore the way the entire town seems ready to pounce on her as if she were fresh meat. Almost, though, isn’t enough when Janie finally discovers what the town is hiding. The people of Everod have been waiting for Janie and if she hopes to survive, she’ll need to confront the truth of who and what she really is. Waken is the award winning Young Adult Paranormal Romance novel from USA Today bestselling author Angela Fristoe. Fans of The Wolves of Mercy Falls Series and The Hush, Hush Saga will be captivated by this unique take on werewolves and the supernatural world.